I went to a meeting for work, and I did my nails up all fancy for the occasion. 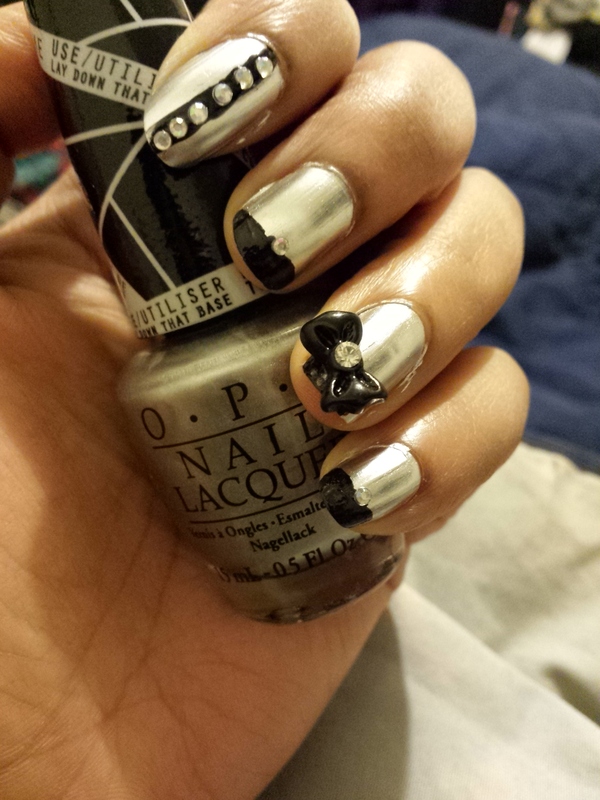 I used Essie’s Licorice as the black accents, and added a fancy bow charm and rhinestones. The result? This is a look I absolutely loved, but it doesn’t last long. 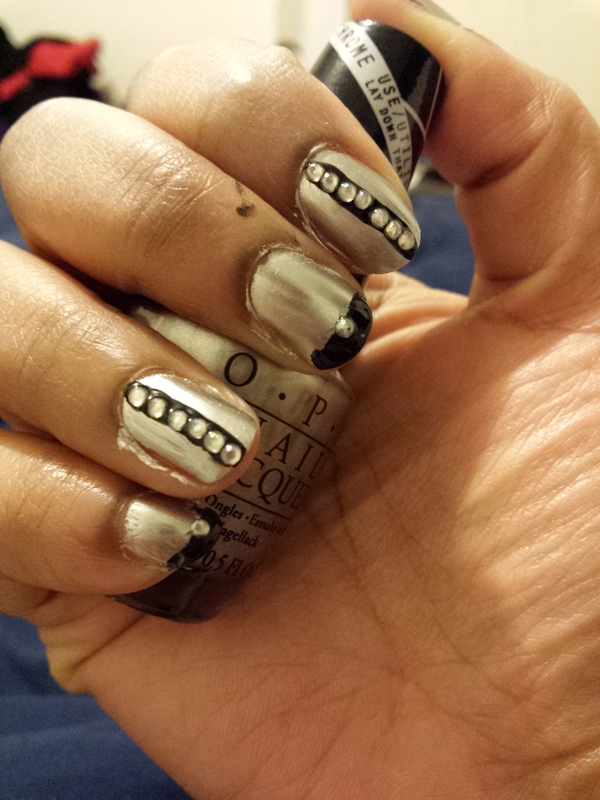 In order to get the chrome look, you can’t use top coat (adding top coat will take it to just a regular silver color.) Also, the charm kind of worked my nerves a bit; I was petrified that I would knock it off of my finger! But since that wasn’t a day that I worked with my hands, it was all good. I should note that this mani took me a while to get done (about midnight). It’s bad when your obsession keeps you up at night.